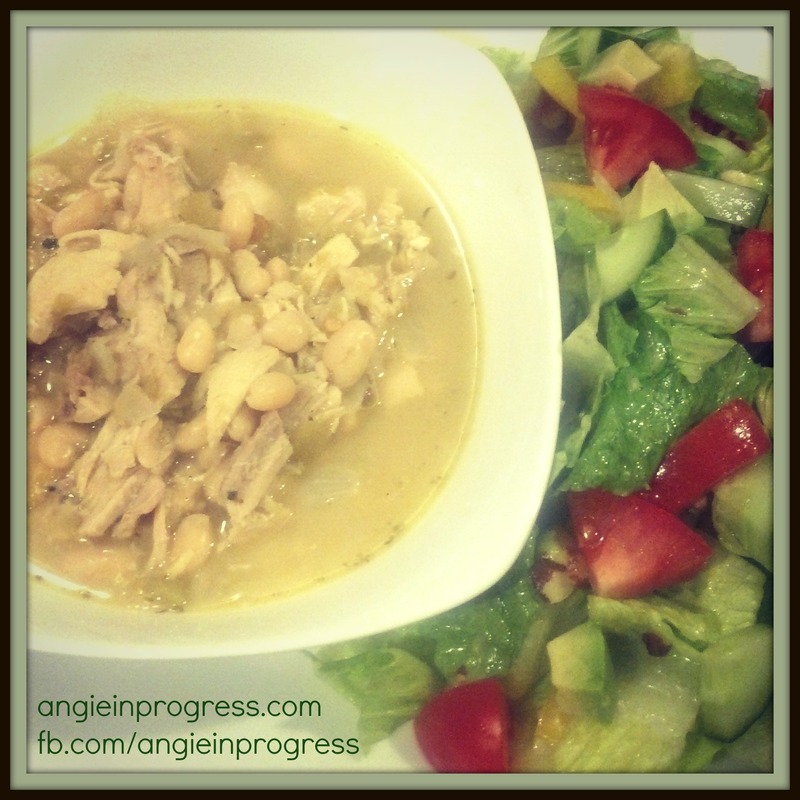 White Chicken Chili, a Family-Pleaser! This is SO tasty. The kids liked it as is, but you could spice it up a little more by adding some diced jalapenos, and/or a little more cayenne pepper. This is very satisfying and very healthy. Each serving will be about 285 calories. Makes about 6 servings. Enjoy! 1. Heat the oil in a large saucepan over medium-low heat. Slowly cook and stir the onion until tender. Mix in the garlic, green chile peppers, cumin, oregano and cayenne. Continue to cook and stir the mixture until tender, about 3 minutes. Mix in the chicken broth, chicken and 2 cans of the white beans. Puree the 3rd can of beans with a little of the broth from the chili. Add to the rest of the ingredients in the pot. Simmer 15 minutes, stirring occasionally. For the salad: I made a tossed salad with a Honey Lime Vinaigrette Dressing.